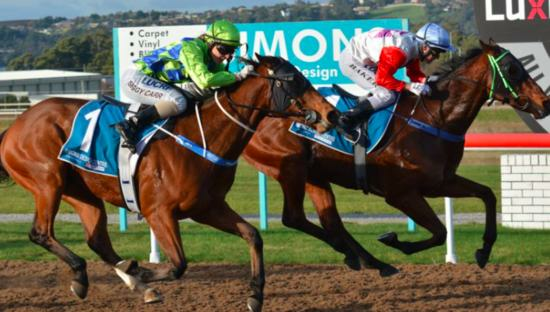 QUALITY Tasmanian sprinter Tshahitsi may have had his colours lowered in a race at Flemington last Saturday but two of his stablemates produced impressive performances to win in Devonport on the same day. Tshahitsi finished a game third in a heat of the Winter Championship over 1400 metres to ensure he progresses to the final in a fortnight. In Devonport Jacques and Argillite scored impressive wins in their respective races to suggest they both should keep winning this preparation. Co-trainer Imogen Miller, who prepares the team in partnership with Chris Crook at Campania, was elated with the two local wins. “I was in Melbourne with Tshahitsi but I was glued to the monitor to watch both of our horses win at Spreyton,” Miller said.